A native of Arizona, Linc Smelser received his bachelor’s degree in Cello Performance from the University of Arizona where he studied with Dr. Gordon Epperson, and received his Master of Music degree and Performer’s Certificate in Cello Performance and Pedagogy at Northern Illinois University having studied with renowned cellist and pedagogue Raya Garbousova. Advanced study included work with cellists Marc Johnson, Ron Leonard, Gabor and Peter Rejto, Heinrich Schiff, the Vermeer Quartet, and pianists Richard Faith and Jerome Lowenthal. In 2003, Mr. Smelser was appointed conductor/music director of the Kishwaukee Symphony Orchestra in DeKalb, IL. In 2009 he was named Conductor of the Year (Small Orchestra) by the Illinois Council of Orchestras. He has most recently been appointed conductor/music director of the Rockford Symphony Youth Orchestra. He has guest-conducted the Northern Illinois University Philharmonic, the Harper Symphony Orchestra, the Fox Valley Orchestra (Aurora) and the Skokie Valley Community Orchestra. He is also conductor of the NIU Sinfonia and Symphonette, two youth symphonies that attract students from the Northern Illinois area. 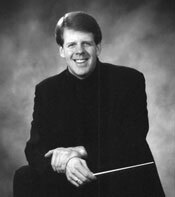 Mr. Smelser has appeared as a soloist with Camerata Chicago, the Kishwaukee Symphony Orchestra, the Illinois Valley Symphony Orchestra, and the Rockford Symphony Orchestra, and has twice appeared in recital on the Dame Myra Hess Memorial Concerts Series in Chicago, which is broadcast live on over 44 stations across the United States. He has won several awards including first prize of the National Society of Arts and Letters Chapter Competition, top prize of the National Federation of Music Clubs Regional Competition, and first prize of the International Lili Boulanger Memorial Fund Competition. Mr. Smelser has been a member of the Grant Park Symphony Orchestra cello section since 1992 and has been an active substitute with the Chicago Symphony Orchestra since 1997. He is also principal cellist of Camerata Chicago, a chamber orchestra based in Chicago. He continues to perform in The Three Celli, a chamber ensemble with Stephen Balderston and Brant Taylor, throughout the Northern Illinois Area. Mr. Smelser has most recently been appointed a faculty member of the Music Institute of Chicago in Winnetka. He is also a faculty member in the Northern Illinois University School of Music and has been teaching private cello lessons through the NIU Community School of the Arts since 1988. He served as guest lecturer of cello at the Wheaton College Conservatory of Music from 2006 to 2016. He is also on the faculty of the Chicago Suzuki Institute and the Intermountain Suzuki Strings Institute in Utah and is pianist/accompanist for the Northern Illinois University Suzuki program.